Sources have confirmed that Honda is bringing a facelift version of Honda Amaze compact sedan. 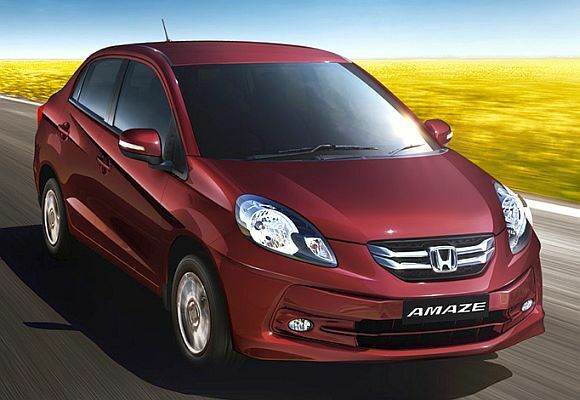 The facelift version of Honda Amaze is expected be unveiled within this year. Shifting-Gears reported that Honda would drop the existing five-speed automatic gearbox from Honda Amaze in favor of new CVT transmission. One can see the CVT gearbox fitted in Honda City, the same shall be brought to Honda Amaze as well as the upcoming Honda Jazz. CVT meaning continuously variable transmission is an automatic transmission which changes seamlessly through an infinite number of effective gear ratios between maximum and minimum values (What is CVT?). New Honda Amaze’s top model (VX variant) is expected to get this new CVT automatic gearbox. Honda Amaze was first launched in April 2013. It has been quite a while that Honda Amaze is in Indian Auto market, also with the competitions from upcoming Ford Figo Aspire, it is high time Amaze gets a facelift version soon. The facelift of Honda Amaze could attract new customers contributing to their sales number. New Amaze would be powered by 1.2 litre 88 PS petrol engine (which is same as current version) and 1.5 litre 100 PS diesel enhone. As reported earlier the petrol variant of the car shall now feature a new CVT gearbox. The launch of facelift version of Honda Amaze shall happen only once Honda Jazz is officially unveiled in July 2015.